As the South Shore area was taking shape in the 1600s and into the 1700s, the Squantum Peninsula was rural farmland and forest, sparsely settled. Going to worship meant a long and arduous journey across the Neponset river. In fact, part of the reason Quincy separated from Braintree and Dorchester was to make it easier for folks to worship on Sundays. At the end of the 1800s, though, Squantum was one of the growing edges of the North Quincy area. The increased development meant a greater need for a church to gather, one that could meet the needs of this unique, sometimes isolated community. During this time, Squantum was primarily a resort area with lots of summer and vacation homes and few year-round residents. The initial needs were for Sunday School to help children grow up in the faith, and for worship. Arrangements were made with the Atlantic Congregational Church in North Quincy. Rev. Thomas W. Davis of Atlantic Congregational Church began to help on summer afternoons near where the Squantum fire station now stands. This group began to gather as early as the Summer of 1910 in a 24’x40’ tent. Squantum continued to grow, and by 1911, the need for a church was strong enough that Mr. Carlson offered the C.A. Richards house (where the church building currently sits) for worship. During the winter of 1913, fire ravaged the Richards house, and the Sunday School was forced to meet in the carriage house (barn). It was time to build a new church building! The CA Richards house (shown here) hosted worship for the people of Squantum. Summer would find them on the wide veranda, overlooking Quincy Bay. Winter would find them inside. she had promised, she opted to pay it all! The Congregational Church Union of Boston provided matching funds for all donations and helped pay Rev. Davison’s salary. Without a doubt though, the key was the way any number of craftsmen donated their time and labor to constructing the church. The church held its first worship service in the new building on September 20, 1914. 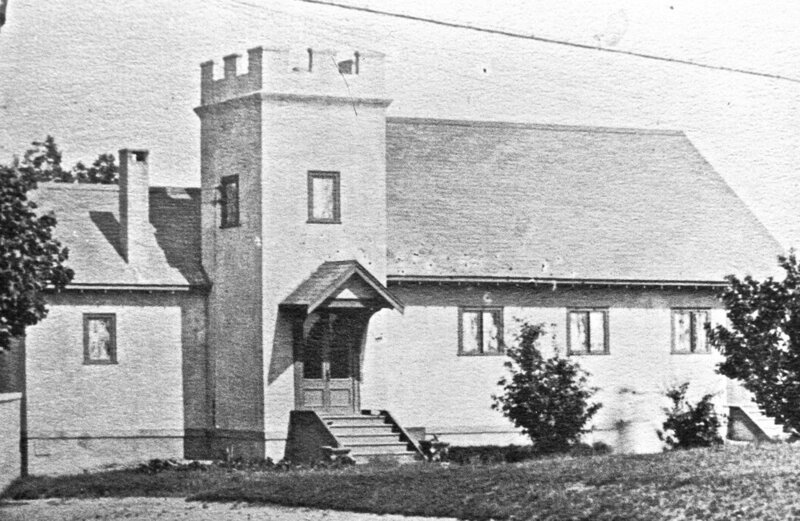 Shown here is the original building of the First Church of Squantum built and dedicated in 1914. The pastor’s study is to the left of the main door, and the sanctuary to the right. Note: the tower is to the left of the sanctuary. Squantum was growing and so was the church. The congregation was thinking about moving its usual afternoon or evening worship service to the morning, and a full-time pastor was going to be necessary. In September 1923, Rev. Davison resigned to focus on serving Atlantic Memorial Church, stating “that no matter how consecrated a minister may be, that no man could do justice when supplying any field outside of his main work.” A series of young pastors helped First Church to grow. During this period, part of Squantum continued to be strongly Swedish, and many of these people enriched First Church with their hard work and faithful souls. At a time when there was some general prejudice against Swedes in society, the church continued to be a place of welcome for everyone, regardless of denomination. After World War II, the community swelled with people and activities…and so did the church, until it was bursting at the seams. The updated Church building as it looked in 1937. The footprint and layout of the building are the same. Big Addition of 1949: To accommodate all the groups, activities and people, the church built a major addition that flipped the sanctuary around, and added class rooms, meeting spaces and offices. First Church was ready for the next era. Where would the money come from they asked? The congregation took out a mortgage to build the addition. The addition was built, and the mortgage was retired two years after breaking ground! The laying of the cornerstone for the big addition in 1949. In addition to the adult members shown here with their children, Rev. Walter Lounsbury can be seen praying over the cornerstone. The First Church of Squantum was one of the hubs for life in Squantum. Several women’s fellowships—including Ladies Aid, Evening Aid and Friendship Circle—joined the Burrows Men’s Class and later the Sumner Men’s Group. Youth groups were important to the church too. Early on this was called Christian Endeavor, but later would become the mainstays of the Junior and Senior Pilgrim Fellowships. The Church fielded girls and boys basketball teams for the church league and often captured the championship, as our trophies can attest! Singing groups that had always been popular really bloomed with boys choirs, men’s and women’s choirs, and children’s choir. The church had two services Sunday morning plus a “mariner service” at 7:30p for all the folks sailing Sunday morning! Beginning late in the 1960s and continuing through the 1980s, many churches around the country saw steady declines in membership and attendance. The First Church of Squantum was no stranger to this trend. Many churches wanted to continue to do all the things they loved, but this sometimes made it harder to adapt to the changing society. In 1978, the church called Dr. Gene Langevin, who brought tremendous energy and ability to the pastorate. He came out of the Baptist tradition and was known for his teaching skills in Bible study. He also felt called to minister to disadvantaged and at-risk youth and tried to share this passion with the church. The church saw some resurgence, particularly in children’s and youth ministries. First Church of Squantum on Mother’s Day 2014. Dr. Langevin’s ministry at First Church ended in 1993. The congregation sought God’s renewal, and found Rev. Sue Moenius, a ready source of encouragement. Following on her heels was Rev. Bill Hamilton, who brought his creative vision to the scene, for a time serving both First Church and Atlantic Memorial Church—First Church’s “mother” church. First Church however, was glad to have Bill’s full concentration. Rev. David Wood was called in 2002. He labored in the vineyard for four years, bringing earnest ministry and effective visitation to the congregation. The church found Rev. Michael Robertson and called him in 2006. Mike brought great energy and a passion for helping the church gain viability. During this period, the church ordained three women into the ministry—Revs. Clara Sparks, Joy Matos and Emily Robertson. Clara became our chaplain, Joy taught Bible Studies and is now pastoring the new church Daystar (North Quincy), and Emmy eventually became Co-Pastor here at First Church. During Mike’s time at the church, new children’s ministries were planted, new partnerships with the community were grown, and a new generation of members began finding First Church. Everywhere you went, you would find the message, “Love Kindness” and the church tried to live it. When the Star of the Sea was closed by the diocese, First Church welcomed the Friends of the Star of the Sea to share their worship space. The church was again poised for a new era. 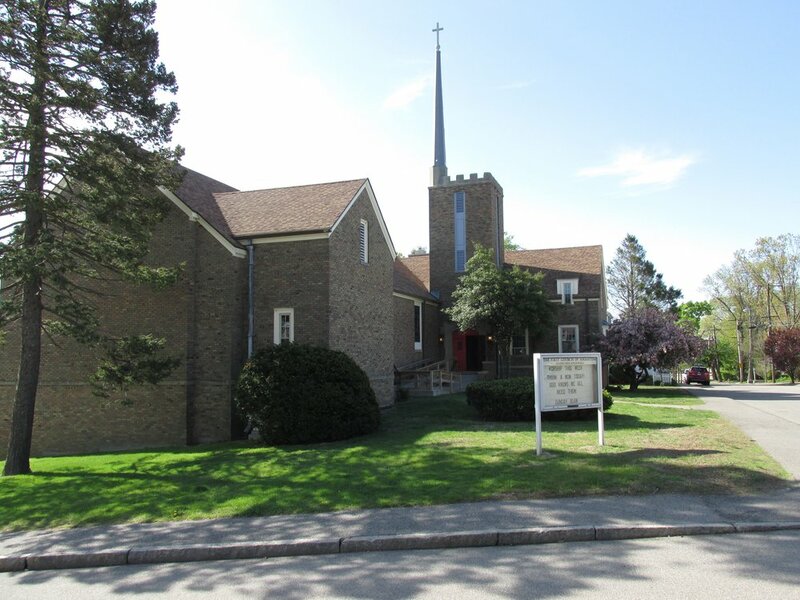 In August 2013, First Church Squantum called Rev. Doug Gray as their full-time pastor. Members organized a vibrant Vacation Bible School in the summer and community costume parties in the winter—Swing Fling (1920s themed), Sock Hop (1950s themed), and Life’s a Beach! The church’s energy and attendance started to rise as members looked for opportunities to not just bring the community to church (with church fairs, for example), but to bring the church to the community (participating in clean up events and having a float in the July 4 parade, for example). Sunday School went from 2 in October 2013 to 20 in October 2018. Vacation Bible School went from 28 in 2014 to 48 in 2018. In 2018, six teens were confirmed as members of the church! A new youth group began that fall. In 2015–2016, the congregation tried to tap into God’s vision for Squantum with a number of different efforts. These efforts culminated in 2017–18 with the hiring of a generosity campaign consultant, and the preliminary drawings for major improvements to First Church’s ability to serve the community. Along with these organizational pieces, the congregation tried to focus on deepening its spiritual life with “Imagine Church”—imagining church as the people who gather into the building and scatter into the mission field of the world. “Love Kindness” continues to be a way we try to live out Jesus’ love for us! For more on Impact Squantum, click here.